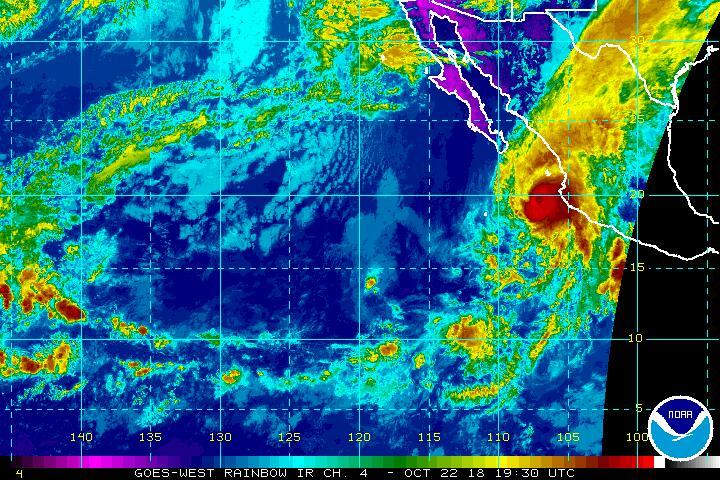 Newly formed Hurricane Willa rapidly intensified off Mexico’s Pacific coast Sunday and early Monday and became a major Category 5 storm, the U.S. National Hurricane Center said. As of 2 p.m. ET, Willa had maximum sustained winds of 160 mph — just 3 mph over the threshold for a Category 5. 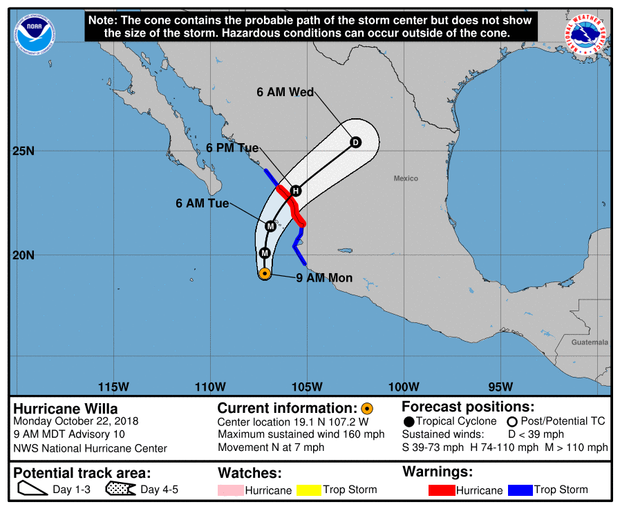 The center said Willa was about 155 miles south-southwest of Las Islas Marias, Mexico, and some 120 miles southwest of Cabo Corrientes, Mexico, and was moving north at about 7 mph.